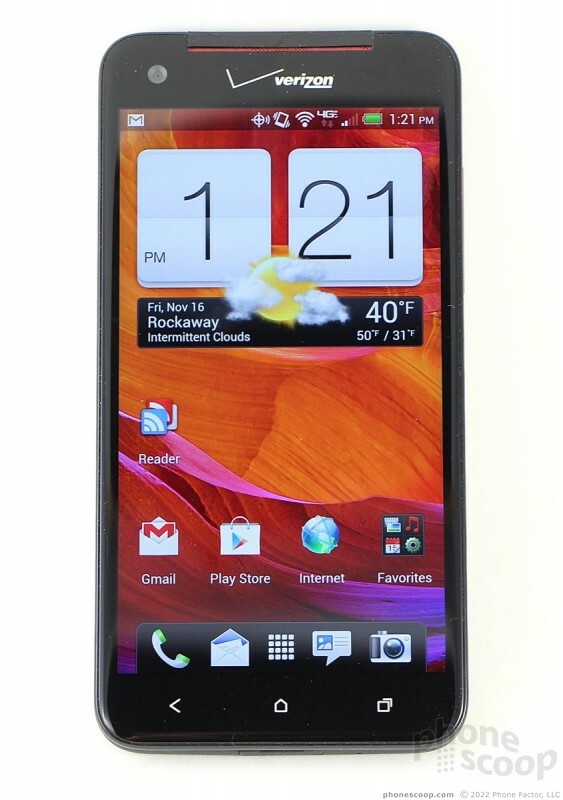 HTC's new superphone is the first to ship in the U.S. with a 1080p HD display. 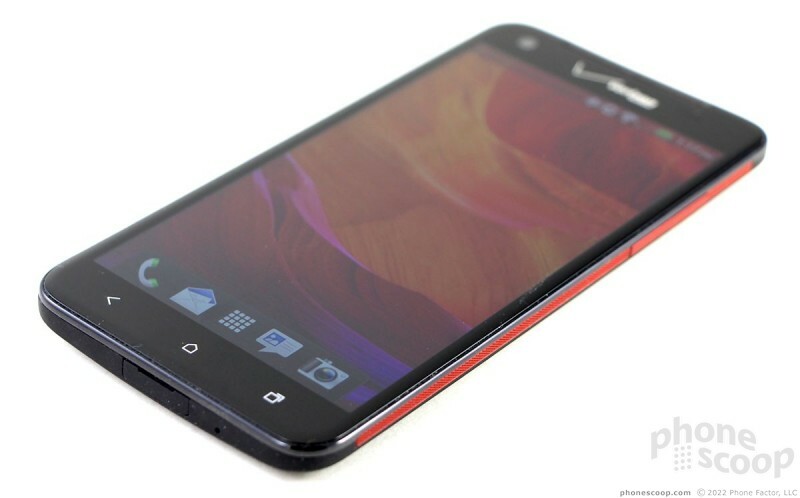 The Droid DNA for Verizon Wireless has more to offer than a good-looking screen, though. Phone Scoop's full review dives deep into all the DNA's features. The HTC Droid DNA is the logical phone for those who want the latest and greatest, with the bestest and mostest stuff. It shoots for the moon in terms of specs, design, and of course that dazzling 1080p HD display. The HTC Droid DNA is aptly named. The design is the ultimate cross-breeding of all the devices HTC has released this year. 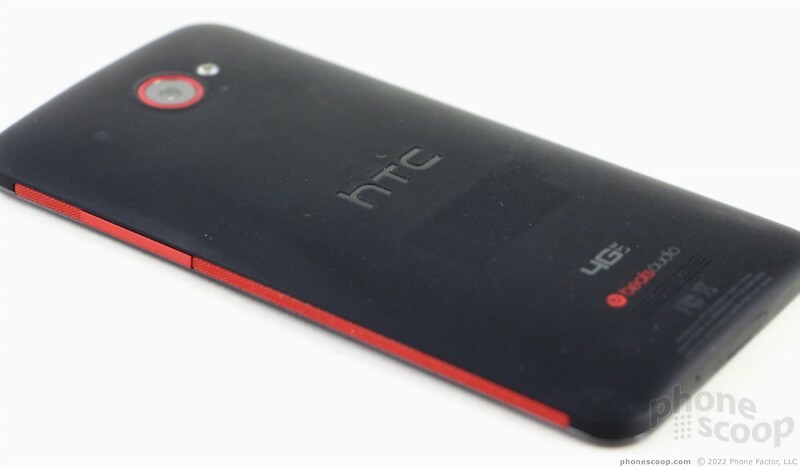 It has HTC in its blood. Unlike HTC's colorful Windows Phone designs, the DNA is an inky black slab. The all-glass front face is glossy pitch black. The back is a matte-black surface. In between are red metal bands that run down the side edges, sort of like the paint designs seen on sports cars from the 80s. Since the DNA is being sold by Verizon, it can't help but pick up some additional red accents here and there, including a circle around the camera lens, the screen lock button, and the earpiece grill. 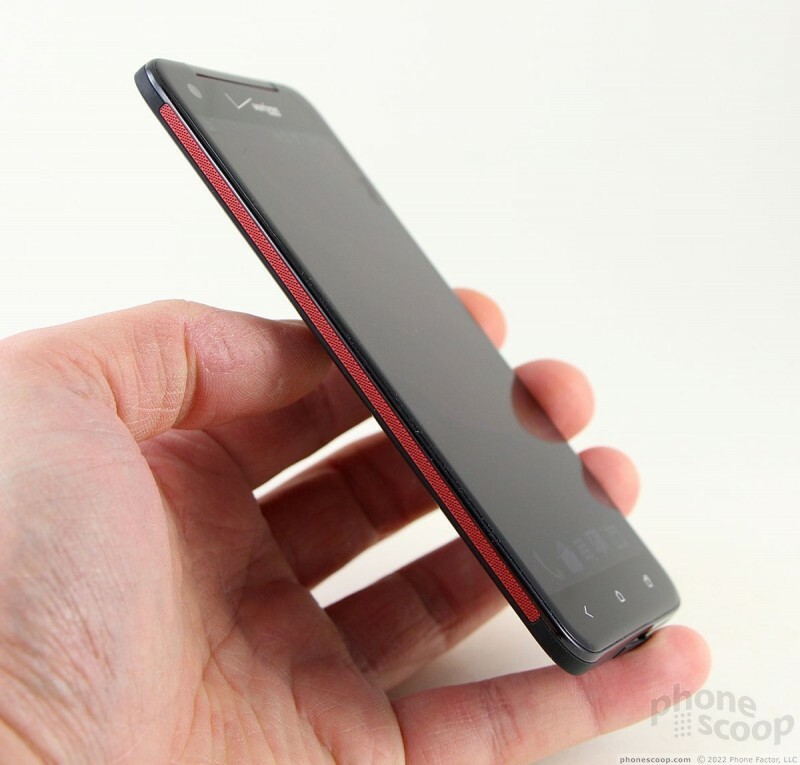 Yes, the Droid DNA even has some Verizon blood in it. 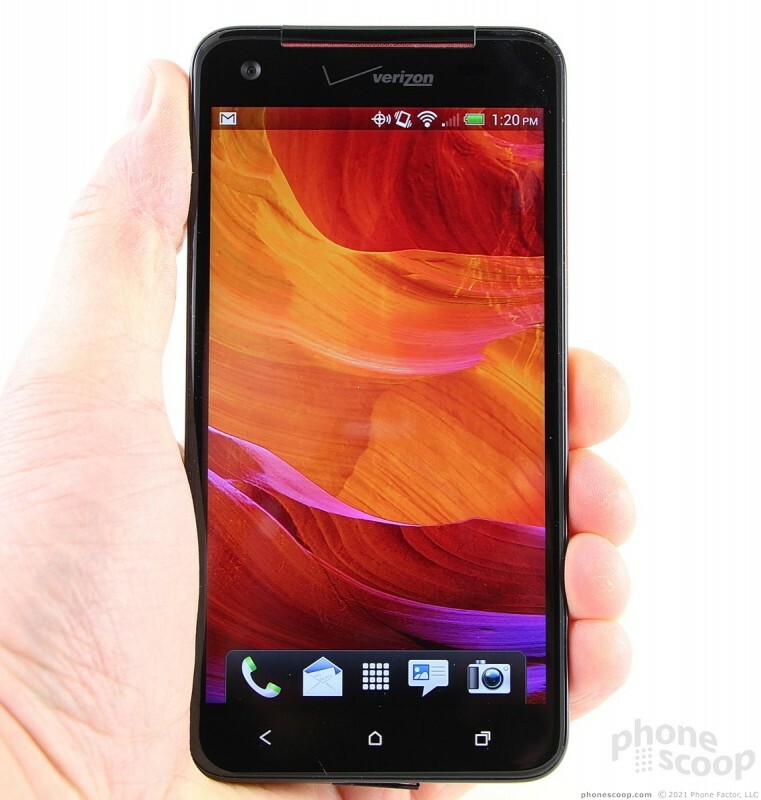 The most impressive feature of the Droid DNA is probably its size. For a device that packs a 5-inch display, it's deceptively small. 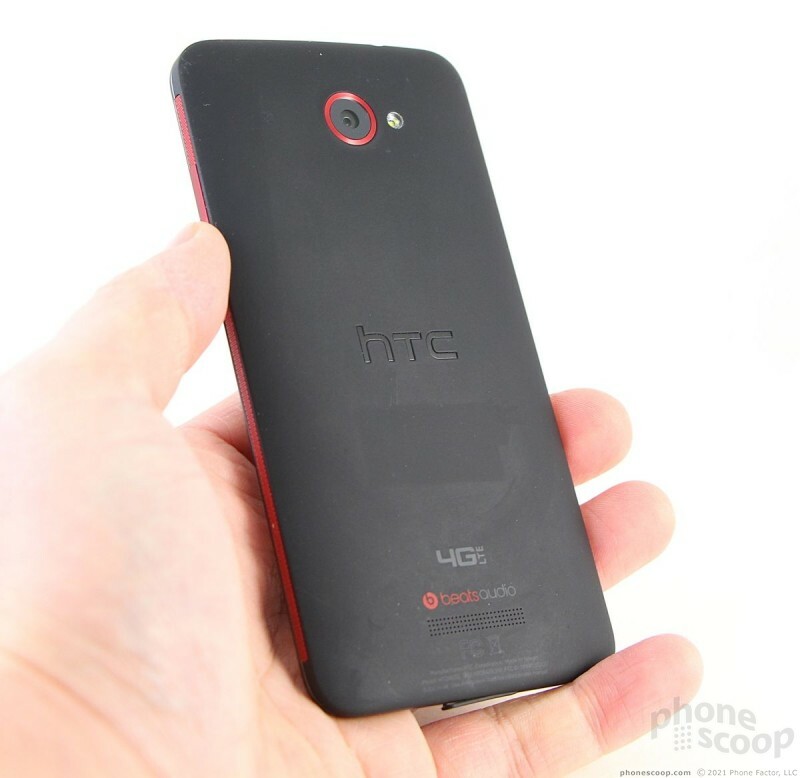 HTC did a great job keeping the footprint as small as possible. 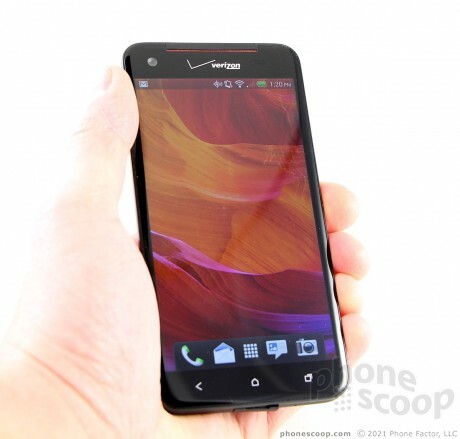 In fact, it is about the same size as the HTC One X, which has a smaller display. If you're worried about it pushing Galaxy Note II dimensions, don't. It is significantly smaller than the Samsung's Note or Note II, and far more comfortable to hold and use. The back surface has a soft-touch finish which gives it some grip in the hand. Rich didn't care for the feel of the side edges, and neither did I. When you try to grab the phone tightly, they feel hard and pointy, and are angled slightly. That said, the quality of the materials and fit-and-finish are solid. All the seams fit together snugly, and the weight (which is just right) gives the phone a solid feel that says "I'm not cheap." Three capacitive buttons are positioned below the display, very close to the bottom edge of the phone. They are the now-familiar three buttons for Android 4.x: Back, Home, Multi-task. The buttons are easy to see even when they're not lit. The rest of the controls are a bit fussy for my tastes. The lock screen button - which is on the top of the phone - is too flush with the surface. I didn't care for the travel and feedback very much. The same goes for the volume toggle, which is on the right edge. It is too flush with the surface and offers too little travel and feedback. 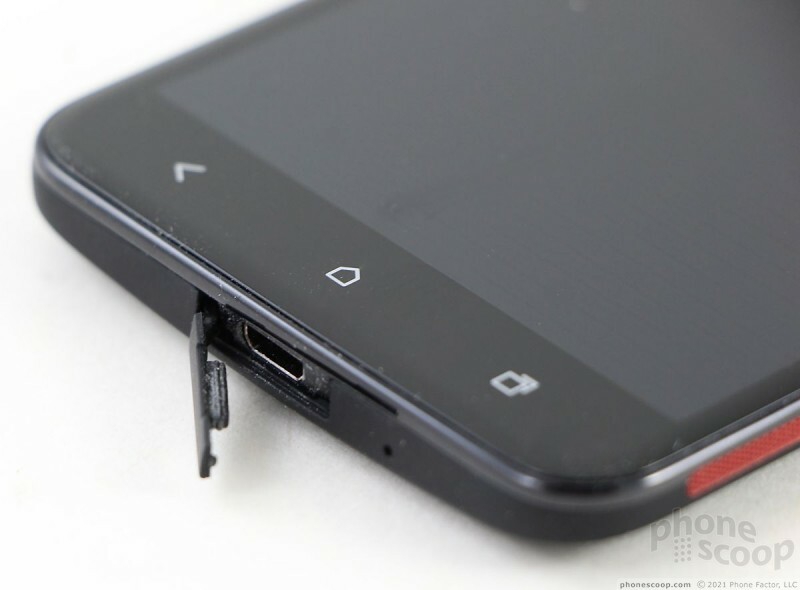 There's a little hatch covering the microUSB port on the bottom edge. 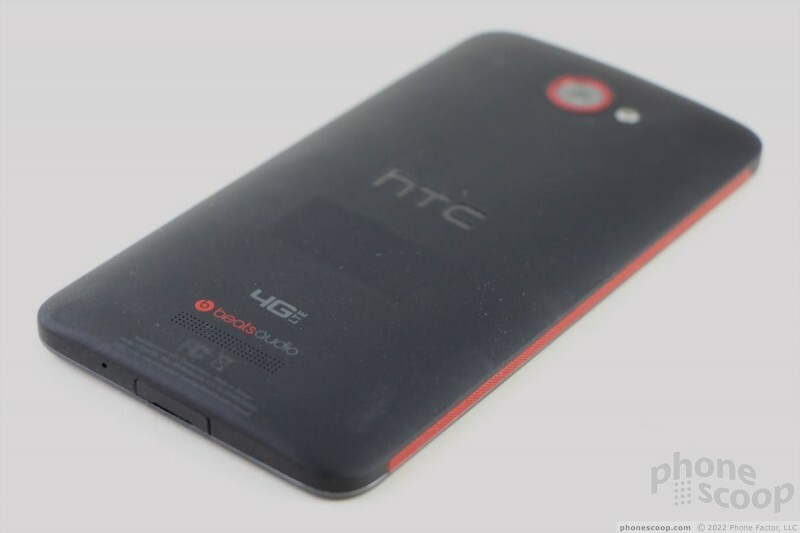 Why HTC bothered with a hatch at all is beyond me. Worse, it is an annoying and finicky hatch that I'd just as soon cut off the phone than deal with every single day. The tray for the SIM card is buried in the top edge of the phone and requires a tool to eject. There's no dedicated camera button. Sadly, you cannot access nor remove the battery. It is buried inside the DNA. The DNA also doesn't offer expandable storage. You're stuck with the measly 16 GB built into the device, which may not be enough to fit a single 1080p HD movie. 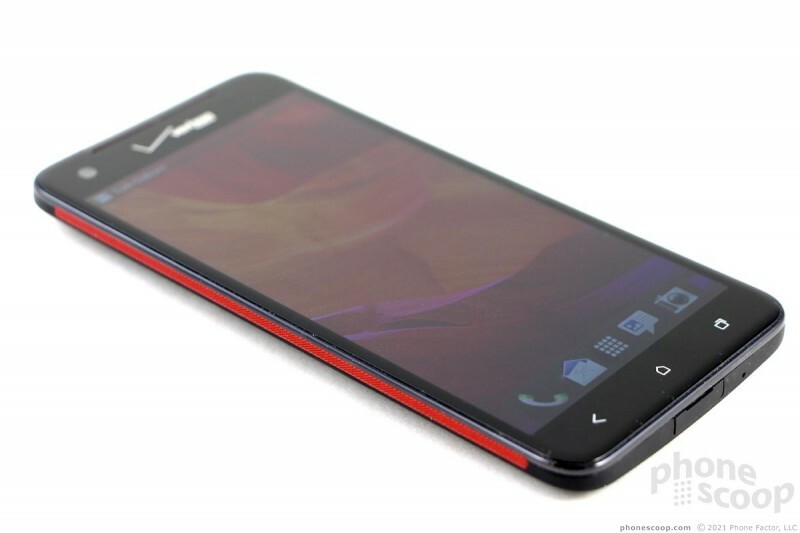 Overall, the Droid DNA is just what I expect HTC to design for Verizon Wireless. I used the phone a lot for three days. Constant email and RSS, both of which use the screen and radio intensively. Same with checking twitter, browsing their web, all while under LTE coverage. It wouldn't be so bad if there was 32 GB...The 16 gigs are ridculous. I seriously think we should get the phones stock, and have the option to change the firmware to something more sense later on if the consumer wants to. I personally have no problems with sense, but stock is best. Literally. Computer, TV, Phone, Tablet, any of them.